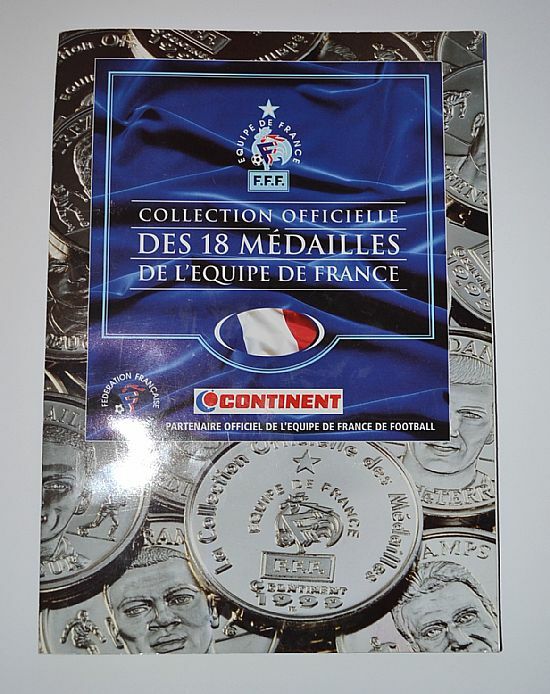 Fresh from their successes in selling collectable coins sets all over Europe in 1998 The Continuity Company manages to repeat the gig in 1999 with the French company Continent. 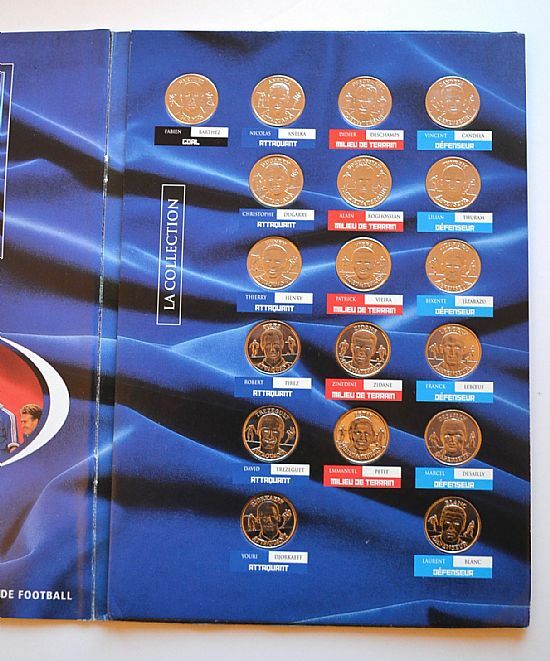 An exact copy of the Sainsbury's sets produced one year after the 1998 world cup and just before the 2000 Euro Championships. 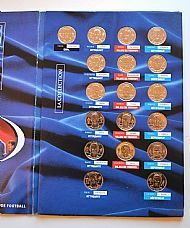 A set produced after the world cup, same format as Sainsbury's sets. 18 coins in folder. All in exactly the same as the many preceding sets produced in 1998 across Europe. 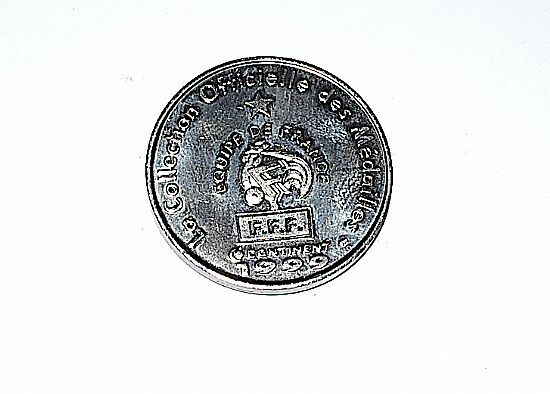 The reverse of the coin is struck with the date 1999.